Revolver is the seventh studio album by the Beatles, released in 1966. The album heralded the band's arrival as studio innovators and was widely recognised by critics as having redefined the parameters of popular music. The album's Grammy Award-winning cover design was created by Klaus Voormann. The record spent 34 weeks on the UK Albums Chart with seven of those at number one. In America, the album topped the Billboard Top LPs listings for six weeks. 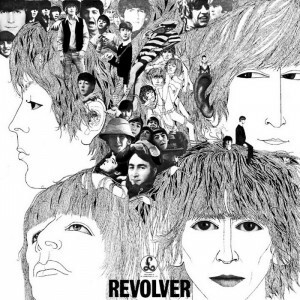 Revolver was ranked first in Colin Larkin's book All-Time Top 1000 Albums and third in Rolling Stone magazine's list of the 500 greatest albums of all time. In 2013, Revolver was certified platinum in the UK and has been certified 5x platinum by the Recording Industry Association of America.